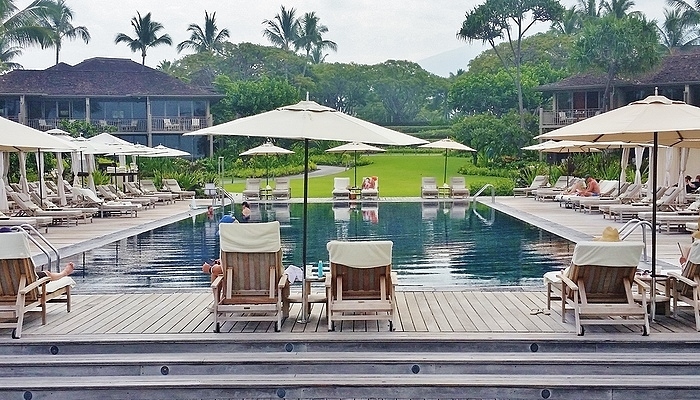 The Four Seasons Hualalai feels authentically Hawaiian. The architecture and landscaping are gorgeous. The resort is polished. 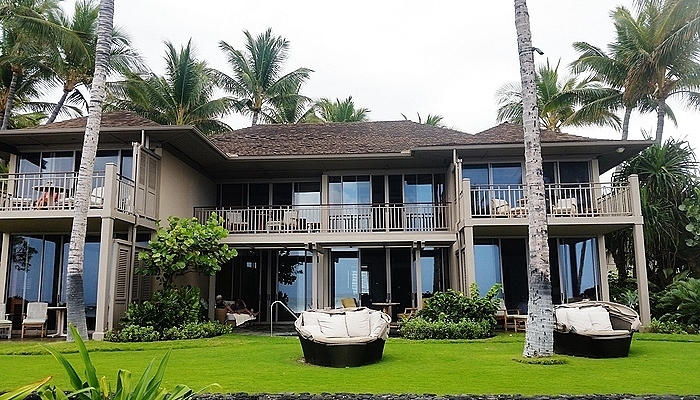 But what really sets the Four Seasons Big Island apart from the competition? Unparalleled service. 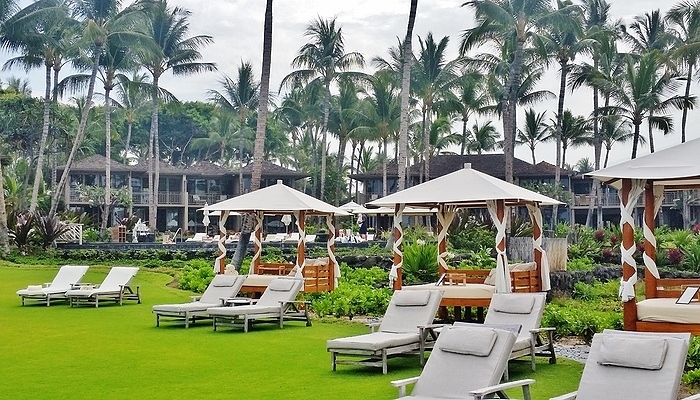 Four Seasons Resort Hualalai is the only Big Island resort (and one of only 2 throughout the Hawaiian Islands) to receive both the prestigious AAA 5-Diamond Award and Forbes 5-Star Award for excellence. The resort continues to maintain that status for yet another year in 2017. 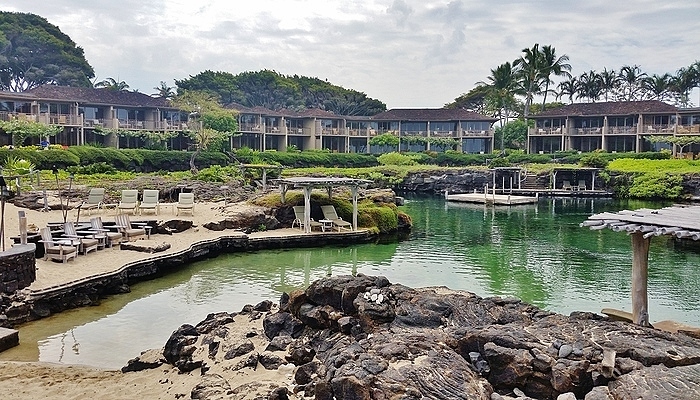 Following a six-week closure to recover from extensive damage and clean up following the March 11, 2011 tsunami, Four Seasons Resort Hualalai reopened with a fresh new look that made it even more dazzling than before. 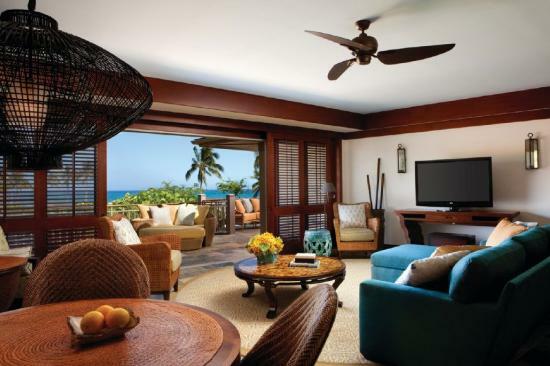 No expense was spared in the refurbishing and the resort was soon named 2012 Top Hotel in Hawaii by Travel and Leisure Magazine. Spacious guestrooms have full granite bathrooms with tubs and separate glass-enclosed showers, 42-inch flat screen plasma TV’s, and furnished lanais. All 243 rooms have ocean views. Second floor rooms offer a better view of the ocean, while first-floor rooms have a nice garden entrance. Some have an outdoor lava shower (ask for one). King’s Pond is a natural anchialine pool (ocean water mixing with fresh water) that is stocked with tropical fish and is home to a Spotted Eagle Ray. A fabulous place for snorkeling! 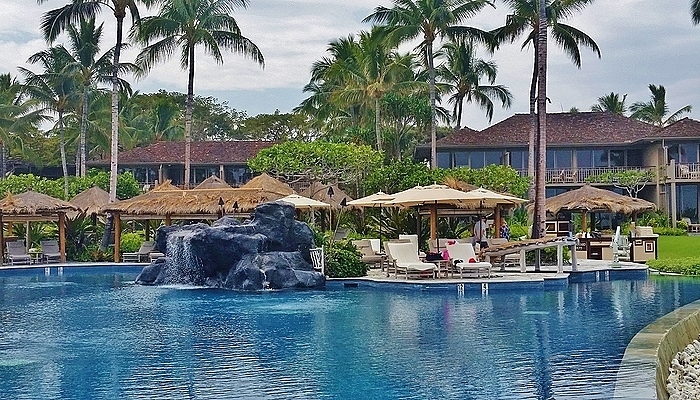 ﻿Seashell pool is a family-oriented infinity pool with a waterfall, Jacuzzi, and adjacent sand-lined Keiki pool for children. ﻿Beach Tree pool is located oceanfront and next to the Beach Tree bar and restaurant. Pool attendants offer an endless stream of amenities, including beverage service, Evian spritz and sunglass cleaning. ﻿Palm Grove is an adults-only pool, quiet and serene, tucked away from it all at the southern edge of the property, in a glorious (you guessed it) palm grove! There is also a nice lap pool at the health club and a small man-made tide pool in front of the Beach Tree that is suitable for wading. 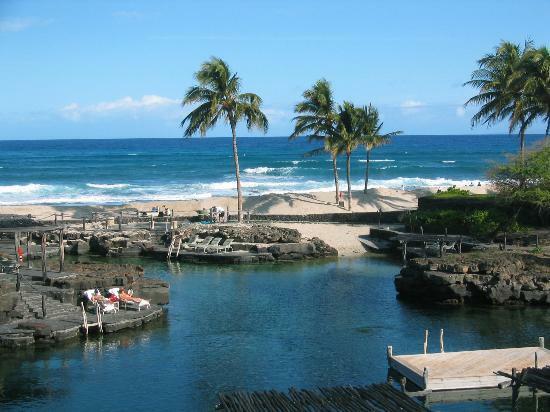 A long, narrow sand beach fronts the property but swimming is poor due to the abundance of lava. Greens fees at the private Jack Nicklaus golf course are $250. An additional round in the same day is free! There are eight tennis courts with a fantastic staff of pros if you want a lesson. And of course a gloriously decadent spa. The daily Kids For All Seasons program is the only resort kids camp on the Big Island that is free to guests (ages 5-12). During the summer season and holidays, the entire family can enjoy free movies under the stars at the outdoor amphitheater. The Ka’upulehu Cultural Center is a marvelous place to learn about Hawaiian history and culture, or learn to play the ukulele. After a fun day of exploring, it’s nice to unwind with a Tom's Pink Shirt cocktail on the deck at the Beach Tree bar. Finish off a perfect day with a gourmet dinner at one of the three fabulous Four Seasons Hualalai restaurants offering a tantalizing array of delicious dining options.